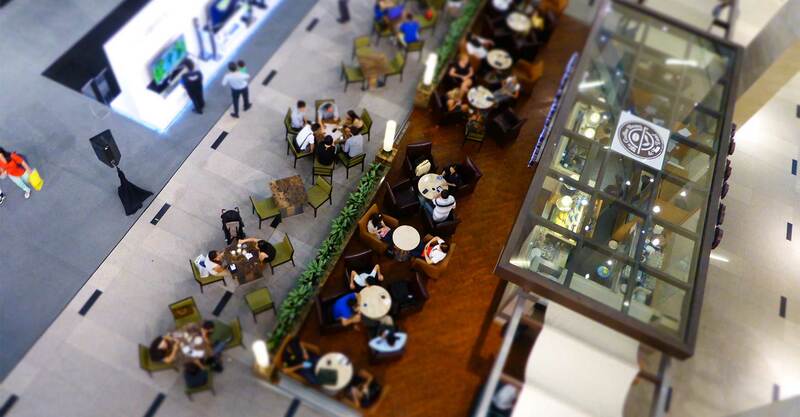 Fact: Security incidents are going to happen. Whether it is a breach or a malware attack, today's cybersecurity threat landscape is changing frequently. The question isn't will I suffer a security incident, it is when will I suffer a security incident. That is why you need to have a plan on how you will recover when an incident occurs. In fact, Incident Response Planning is so important that most Federal, State, and Industry Regulations require organizations to have an Incident Response Plan in place. Successful Incident Response Planning is an organization wide approach, not just an Information Security or Information Technology initiative. Compass' Incident Response Planning Services will look at your organization and departments to help you develop a team of professionals that will be a part of your Incident Response Team. These may include people from Finance, Legal, Operations, Human Resources, etc. That way when an incident happens, everybody knows what role they will play and what their responsibilities are. What qualifies as an incident? Who is responsible for what action? Who needs to be notified based on the incident? Having a plan is essential, but testing the plan is critical. By testing the Incident Response Plan on a regular basis, you can gain further understanding into what works, what doesn't work, and what updates need to be made to your Incident Response Program. 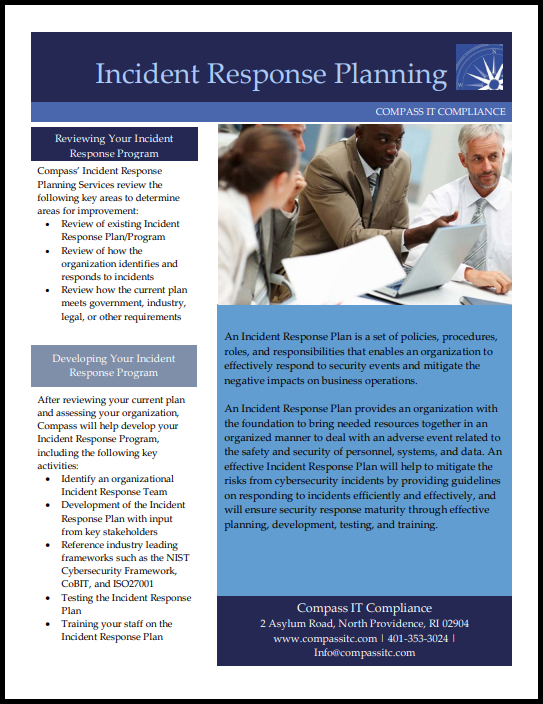 The last step of formulating your Incident Response Program is to train your staff on the plan. This essential step will help your employees know what to do when the time comes and how they can assist the organization in the fastest possible recovery from the security incident. Training can be done individually and by department depending on the needs of your organization. Contact us today to learn more about our Incident Response Planning Services and how we can help you be ready when the time comes!